First off it didn’t take me long to write this review because the only thing I really had to compare was the upper of the shoe. So my apologies to those who wanted me to take a long time to write a review on the exact same shoe with a different upper. 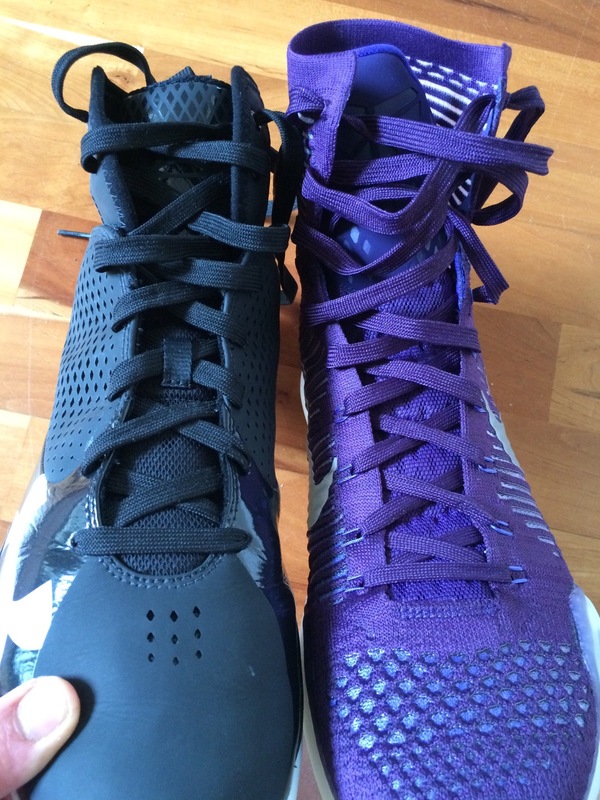 So the big and only change between the regular Kobe X and Kobe X Elite is the upper. Moving away from Fuse, Nike used a Flyknit upper and went from a low to a high. I did not purchase last years Kobe IX Elite bc 1) I’m 5’10” so the high cut will make my legs look like 5’3″ 2) the change from mesh to Flyknit wasn’t enough to justify the cost 3) I didn’t like the IX very much anyways and wasn’t going to pay 2 bills for a shoe I didn’t like much. Here is a shot of the shoes side by side. The collar of the Elite goes up about as high as mid cut crew socks. But this isn’t your daddy’s 90 s high top. The higher cut is flexible and doesn’t affect mobility at all. Reminds me of how the Clutchfit mids flexible collar; both the Kobe X Elite and CF Mid/high feature a collar that goes above the ankle but is ultra flexible. The plushness of the tongue and how the laces tie up high in ankle feel exactly the same which is a good thing. One additional benefit of the high cut is that your foot is not only locked in but so is your ankle and calf. If the collar were stiff, it would be awkward and uncomfortable but thanks to the flexibility, it works great. Same set up as the regular X. Caged Zoom in the heel and segmented Lunarlon the rest of the way ( not targeted ) Personally I love it. I actually shot around like this to warm up. 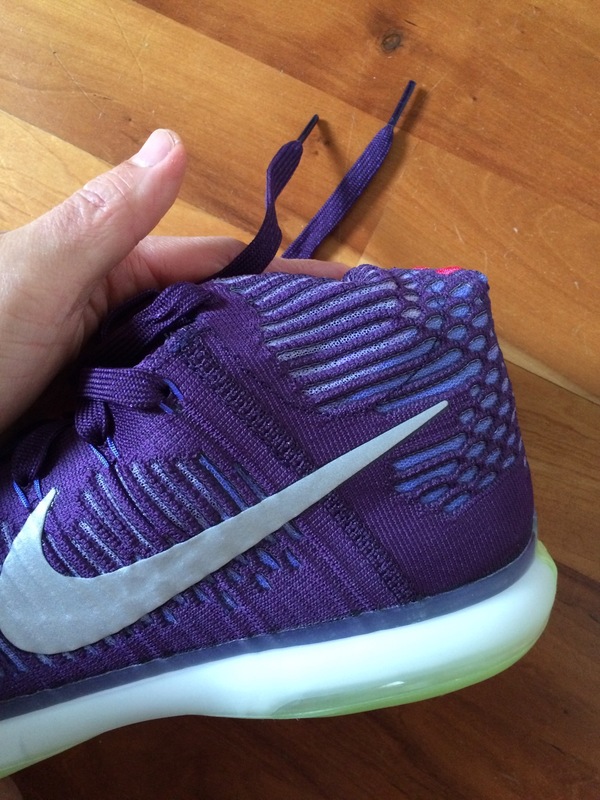 Long story short, Flyknit on the Kobe X Elite is awesome. No weird flexing, no break in time, zero dead space anywhere. Fit true to size . Bought my normal sz11 just like the regular Kobe X.
I dont have a problem at all with the regular Kobe X upper at all either but the Elite upper definitely feels and fits better. Does it translate into out of this world better performance ? No , if you’re playing a game you won’t notice the difference and if you do, you should bench yourself. Is it worth $40 more than the regular upper ? 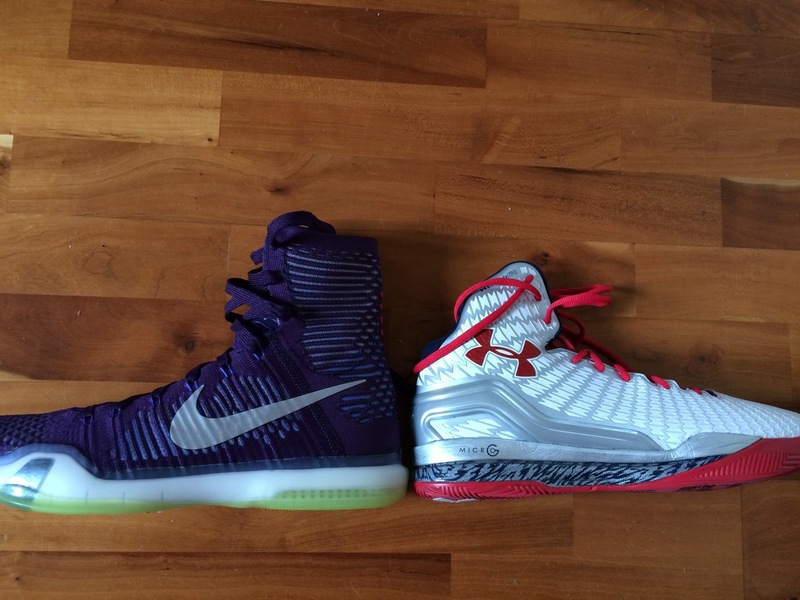 That’s a tough call but it does feel more premium than the regular Kobe X. Personally I’d only want to pay $20 more for the upper swap. If you read my AJ XX9 review, you’d see that I did not really like Flightweb even though it fit like a sock. It felt great as well but the shoe itself didn’t provide adequate support or containment to make up for the flexibility of the upper. The Kobe X Elites upper isn’t quite as socklike but Nike already had additional pieces in place to provide support and containment like the footstay at the forefoot and the heel counter. I really felt that the X Elite gave me that one to one feel we all crave. Is it worth $225? Not really, but sales have been slacking so get ready for Eastbay discounts / coupon code eligibility soon and you end up at $180 anyways. Hard to sell a $225 shoe that was hardly worn by the signature player especially in a year the team doesn’t make the playoffs. Nonetheless, Nike did a great job on improving an already great shoe. Let’s see how the KD 7 Elite does next..
Great reviews man! Just stumbled on your site recently and I’ve got it bookmarked! Keep it up. 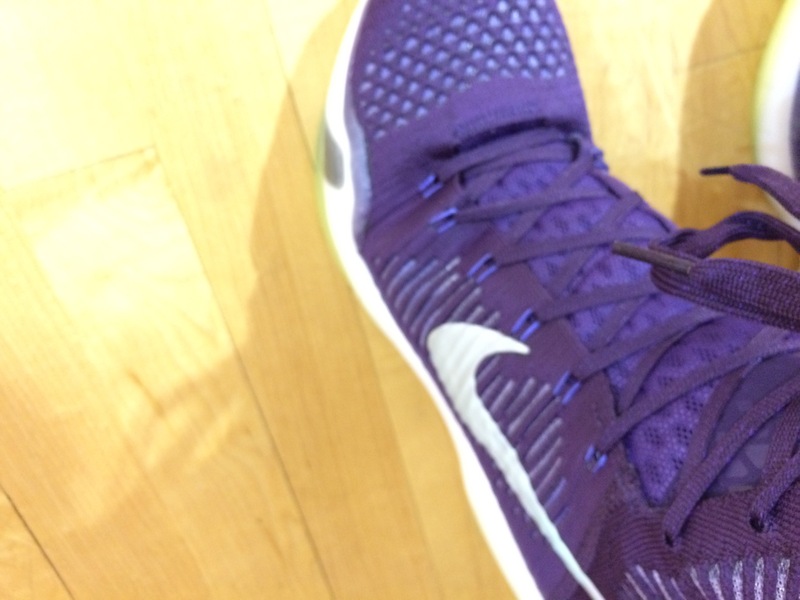 I just hooped in the highs for the first time yesterday, and it’s a huge improvement performance-wise over the low. It’s really much more of a sock like feel than the 9s, and the heel cup doesn’t dig in to your ankles like the 9 highs also. On the low 10s, I got a really bad blister, but didn’t have that issue with the highs. I think it was the awkward flex point. The tougher material must have pinched me whenever the shoe flexed. Just read your play style post and we have similar games too, except I’m a little shorter haha so I’ll definitely keep checking in. Might even start playing some tennis too. 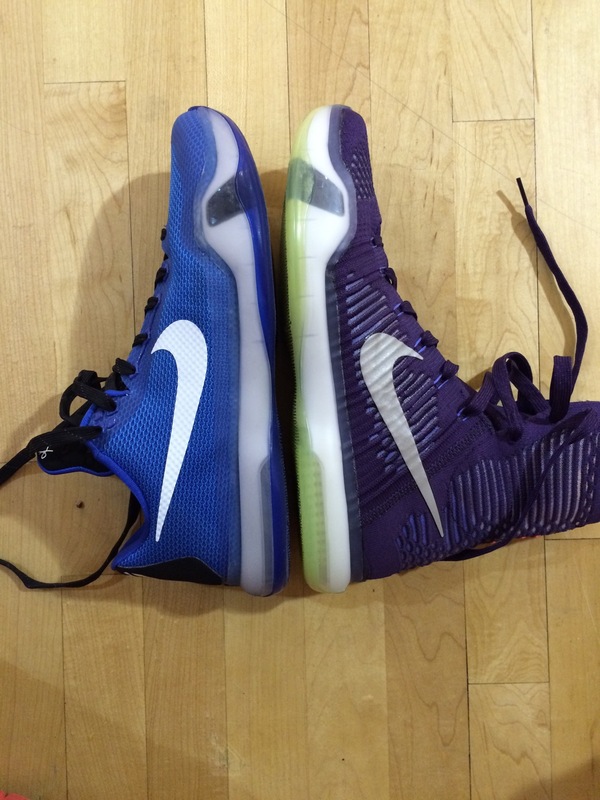 Out of the Kobe X, Kobe X Elite, and the Clutchfit Drive: Which one would you say is best and why?? After a few months of playing with the Kobe x I’d stick with the Clutchfit and rose 5. 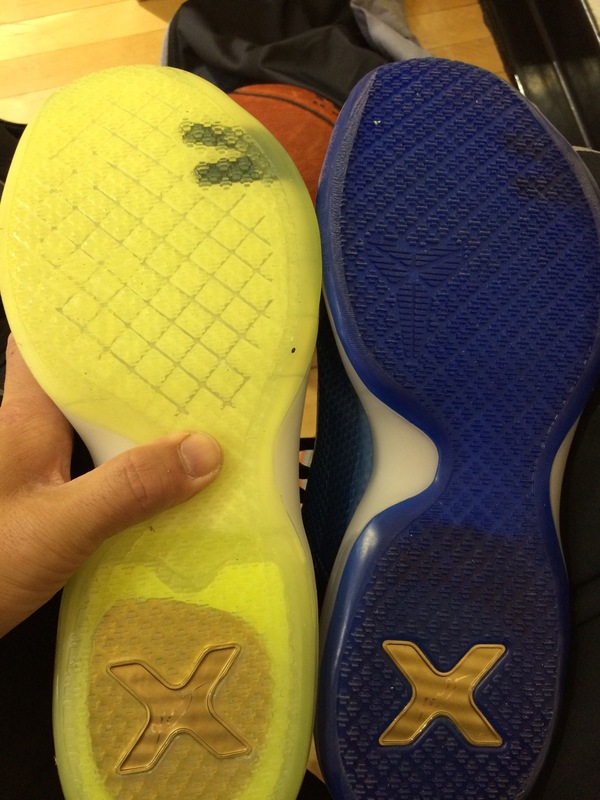 Kobe x Lunarlon goes flat and loses the bounce . My clutchfits and rose 5 haven’t lost any bounce after longer wear. Rose 5 and clutchfits are my 1 and 1a. Rose 5 has better containment and support while the Clutchfit is more natural and allows more ankle movement . So really it depends on the day and my ankles on which i go with. I know that’s a little wishy washy but they are both great in my book. 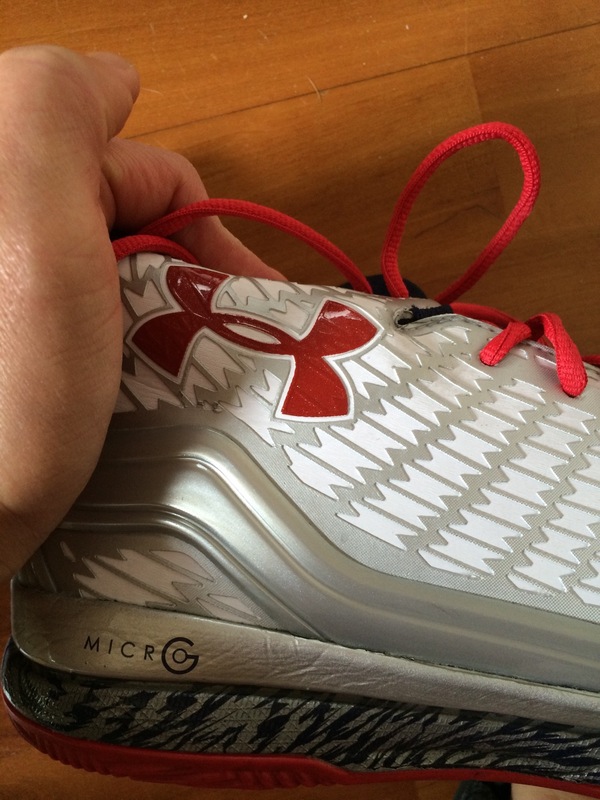 Kobe x are nice but for way less I can get a better shoe in the Rose or Clutchfit. Would you say the Clutchfits are better than the Kobe 9 though? (speaking in terms of the two low-top versions. Yes but barely. Slightly better fit esp in mid and forefoot, cushioning lasts longer. And they are cheaper too . Would you say they Kobe X Elite are better than the Jordan 29??? What would you say about how they compare? Especially for a running, jumping, dunking, and explosive player like myself? 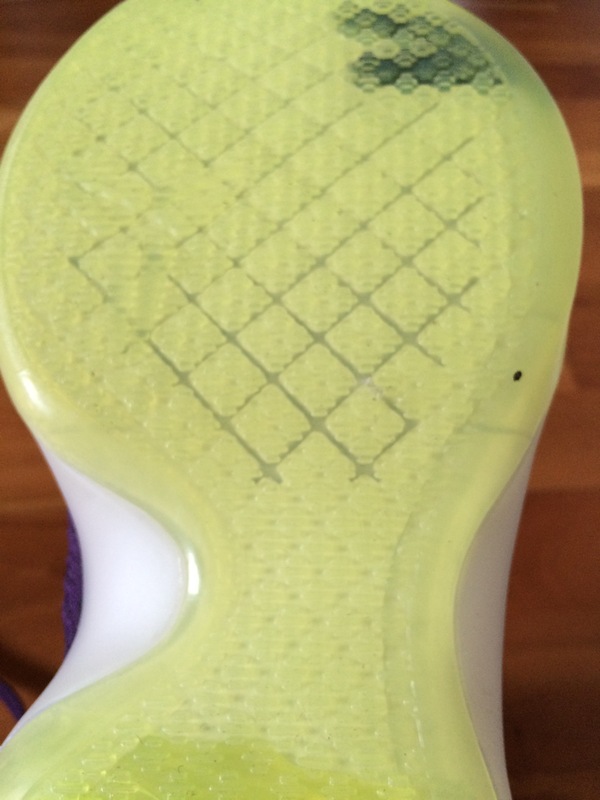 Kobe x elite is forefoot cushioning. 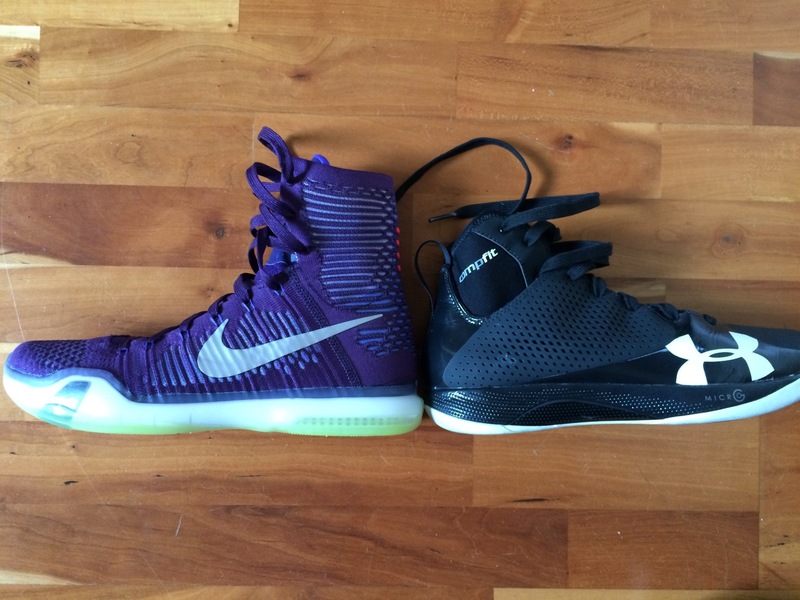 Would you recommend the Kobe IX Elite Hero or the Kobe X Elite Rose Gold? 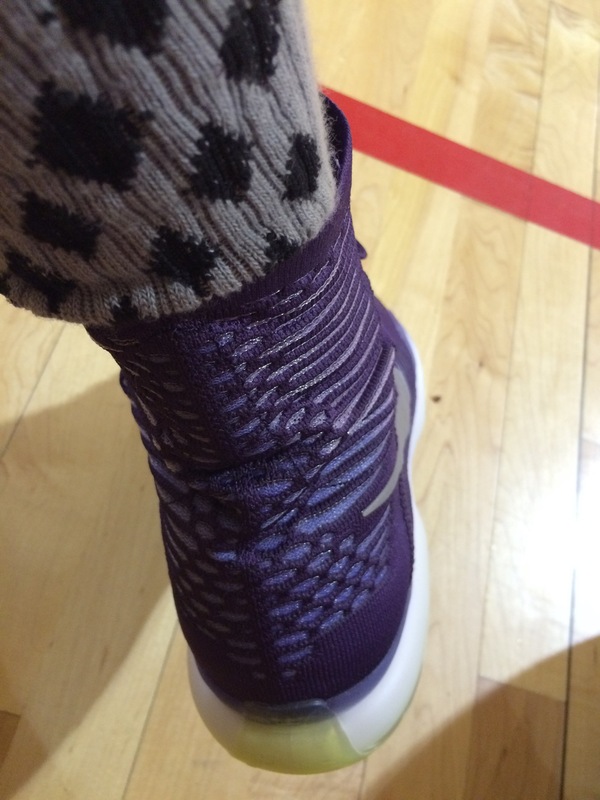 I just bought kobe x elite and the the ankle collar bends in an odd way that digs into my achilles. has that ever happened to you? also, have you been wanting to wear these since you last reviewed them? I never had that problem . Did you just get them ? Sometimes needs some break in. I rotate among all my shoes but the x elite has not been in the rotation bc of some ankle tendinitis so I’m using more supportive shoes like Soldiers /Rose 5 etc..
Hey man, so I just got a pair of the Kobe X Elite lows and I was surprised at how comfortable they feel and how much support they managed to give to your foot, as I’ve never got a pair of lows before. I have some ankle issuess so I now always wear ankle supports to stop them from rolling. Are the kobe x elites with the ankle collar significantly better than the lows for ankle support that it would help someone with ankle issues such as myself? 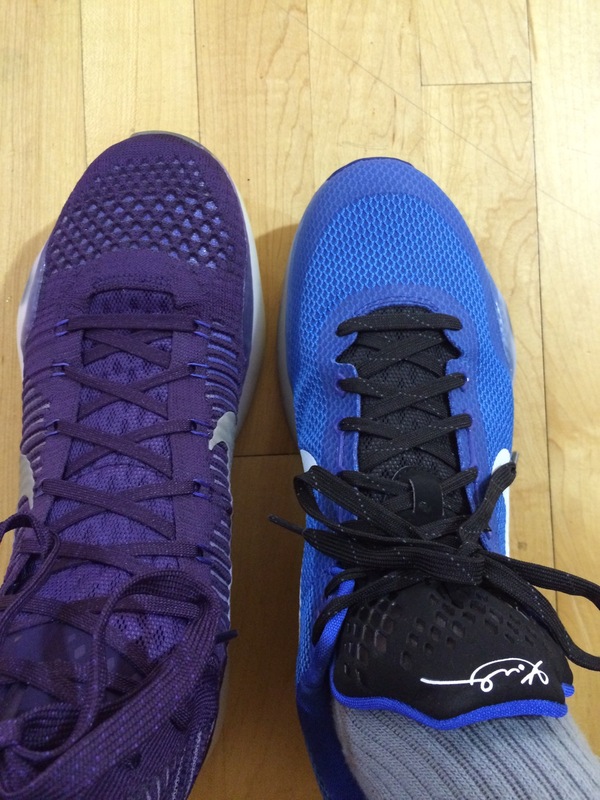 What’s your opinion on the Kobe X elite low vs the Kobe X low? Significant differences? Which is better/worse? Only difference is the upper material. Elite low is the same as the high and personally I like the Elite material better. Fit is better overall due to th change but during a game I don’t really notice. Hey man, great reviews I’m really glad I came across your page. 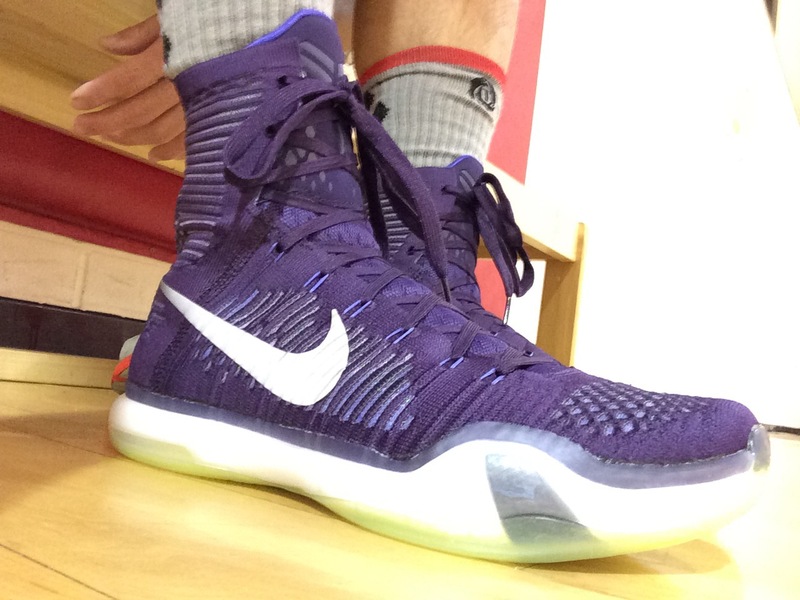 So I just copped a pair of the Kobe x elite highs and my gut feeling is they’re possibly half size to small. If you had to estimate, how much room would you say you leave in the toe box between your big toe and the front of the shoe? Should it be at least a a half inch? Furthermore, how much are you able to freely spread/splay your toes – should there be a snugness in the forefoot of the shoe so that the toes are slightly pressed together (and I mean verrrry slightly more) than they are naturally without any shoes on? 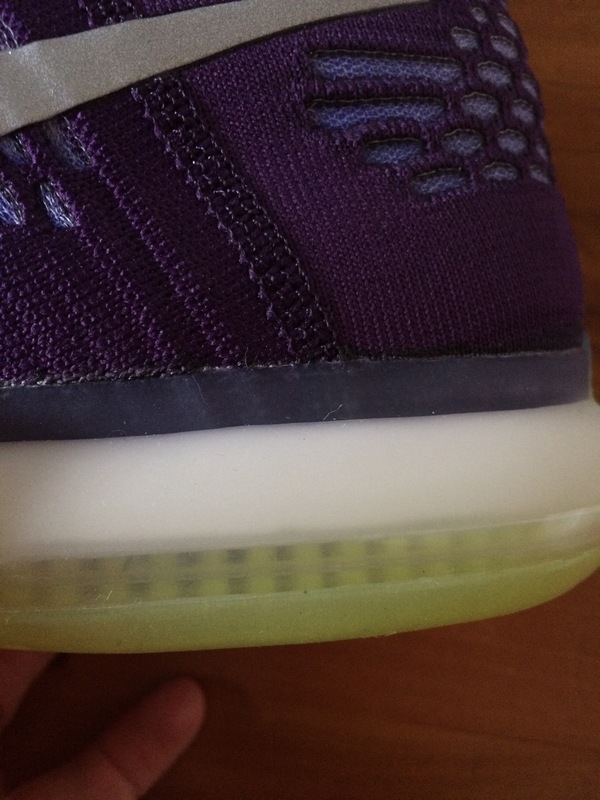 I know these seem like very little insignificant details but I guess when it comes down to it I’m trying to see wether my kobes (and this X model just in general) are supposed to have a ‘snug’, supportive fit or if in reality I’m confusing that with a shoe that is actually tight and restrictive instead. Do you think these are things would can be fixed simply by breaking them in? My kobes are almost an exact fit: my big toe ends maybe a little less than a fingers to the front. I haven’t hooped in them yet and haven’t hooped in general for awhile and last time I did I had some pretty crappy I think air max fly by’s with really poor support and and awful lockdown so my foot would slide around in the shoe on hard cuts. If the kobes have really exceptional lockdown then all my concerns of blisters, toe jamming, etc. may not be a concern. Sorry this super long hah, usually I’d just go into the store, but a copped the rose golds for an awesome price but I don’t think returning them will be super convenient so I just wanted to get your opinion before I went through all that exchanging hassle.
. The non elites in the same size vs the elites have more space for some reason and I think it is by design. I didn’t notice the shorter length when I played in them but I think it is due to the Flyknit being thicker than the fuse of the non elite. If you want more space go up half size and you’ll be fine though. I hope that helps ! Hey man, what would u suggest kobe 9 elite or kobe 10 elite ? Which on do u think is better overall? Did the footstay hurt your pinkie toe?